Have you given LA TROP BLANCHE a try? To create the beer LA TROP® white/Blanche, we were inspired by the brewing traditions of the Flemish Brabant province of Belgium, home to the villages of Tirlement and Hoegaarden. We took these and infused them with the ambience of the south of France – a sandy beach in Provence Alpes Côte d’Azur or the bustling port of Saint-Tropez. Like the Belgian wheat or white beers, LA TROP® BLANCHE is brewed from a malted barley and soft wheat base, hops, coriander seeds and citrus peel, yet it is a white beer from France. The combination of citrus peel and coriander imparts freshness and balance to this French white beer. We opted for the fresh, thirst-quenching type of beer, particularly appreciated in our Provençal climate. A slight cloudiness, typical of this type of beer is an indicator of quality. It is due to the presence of suspended yeasts from the fermentation. The combination of citrus peel and coriander imparts a very fresh character and good balance. 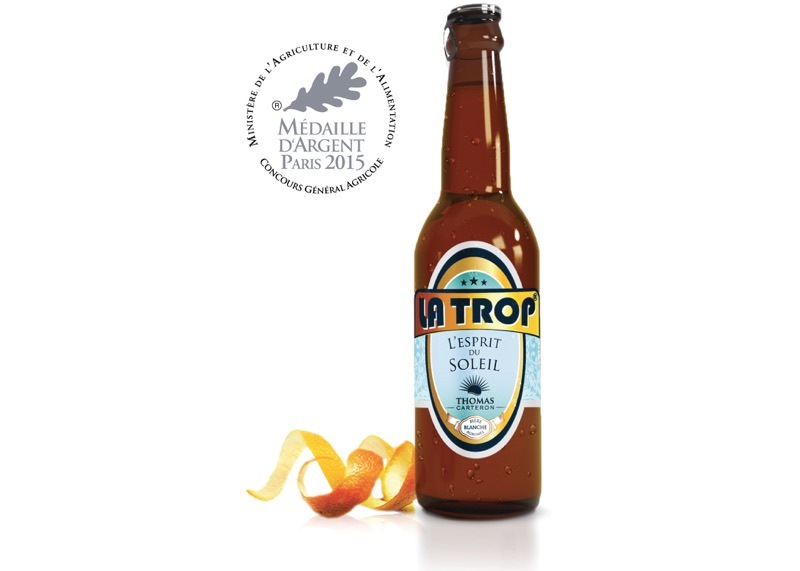 LA TROP® BLANCHE‘s refreshing acidity, smoothness and bright appearance magnify this fusion of citrus, coriander and beer. For more information, you simply take the time to fill out our online form. We will contact you as soon as possible. Partager la publication "LA TROP® BLANCHE"
BIERE Blanche – 3 3 0 ml – 4. 4% vol. / alc. Our French white beer is pale yellow, naturally cloudy and very bright in appearance. The bubbles are fine and even. The mousse is light, very dense and slightly sticky. On the nose, the beer is fresh and spicy. The malty and slightly acidic sensation on entry to the palate is typical of a wheat beer. The citrus aromas then come through and coat the bitter-sweetness. Clean and honest on the palate. The carefully selected hops, underpinned by the wheat, impart an elegant bitterness. Orange peel notes and lime aromas enhance its overall freshness. The finish, which is slightly spicy due to the coriander, gives the beer a nice thirst-quenching quality. Appreciated by connoisseurs, it appeals to all palates. We created it as a “Bière du Var”, although it is currently brewed at a partner brewery outside the Var region. What is the best way to appreciate your THE TROP® Blanche? You can simply enjoy it on its own or you can pair it with food. 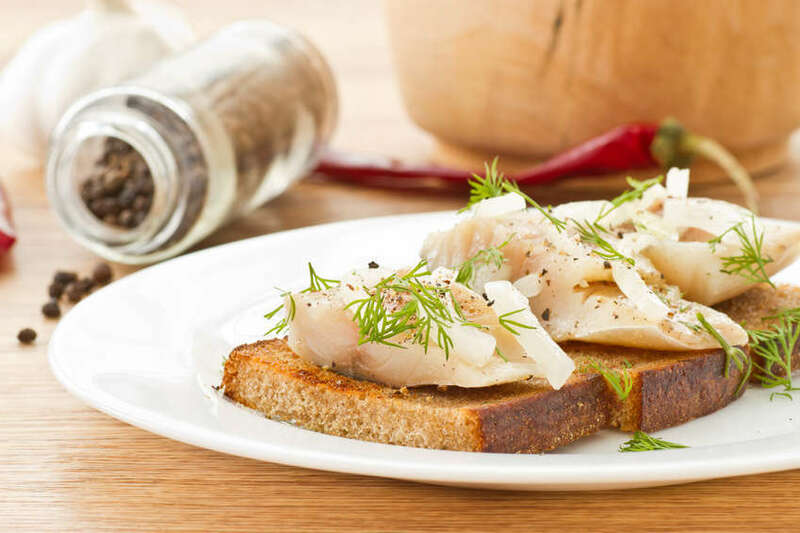 If serving food, then go for seafood, tuna carpaccio or a tartare of sea bream. The flavours will marry very well together, as your guests will testify! If you prefer meat with your French white beer, then grilled chicken is the perfect choice. This delicious beer, evoking the charm of Provence, is naturally ideal for summer-time drinking. But, just like a real “Witbier” (another name for French or Belgian wheat or white beer), you can enjoy it all year round. Whatever the season, remember that it must be served well chilled – between 6 and 8°C. Try our brand of French beer, an original, craft alternative to mass produced products. Check out our recipes infused with the sun of Saint-Tropez! to the big makers, discover our recipes sips of Saint Tropez sun! We have been active in the sale of craft beer since 2011, having previously been “propriétaire récoltant” of two wine domaines in the Var region. Our beers are available in innovative recipes and are perfect in our sunny climate. Our brewery, which bears the THOMAS CARTERON brand name, now operates in a larger facility, yet one which remains on a human scale, where we have perfect mastery of the techniques required to produce our recipes and a Quality Assurance Department guaranteeing the consistency of our products. Are you interested in one of our products and would like further information? Contact us – we will be delighted to respond as soon as possible.